To feel as if you are a victim of your own thoughts is not a pleasant experience. Being barraged by a seemingly endless stream of negative thoughts is both exhausting and potentially even dangerous to your physical and mental health. Regardless of what you may think about Buddha or the philosophy of his teachings, he was perhaps the most brilliant psychologist to have ever lived. Long before medication, cognitive therapy, and psychoanalysis, the Buddha was writing and teaching about the human mind with brilliant insight and wisdom. A core tenant of his teachings was that of a “monkey mind,” describing (accurately) the fact that the human mind can be compared to that of drunken monkeys, where our thoughts are constantly chattering while jumping around aimlessly and endlessly. These thoughts include those of a negative nature – fear, anxiety and worry among them. Negative thoughts, if prevalent and ceaseless, can indeed sabotage your life. Fortunately, there are some practices that will detoxify these drunken monkeys and put them back in their place. Here are 5 different ways that you can keep negative thoughts from sabotaging your life. 1. Remember that your negative thoughts are automatic. This cannot be stressed enough. 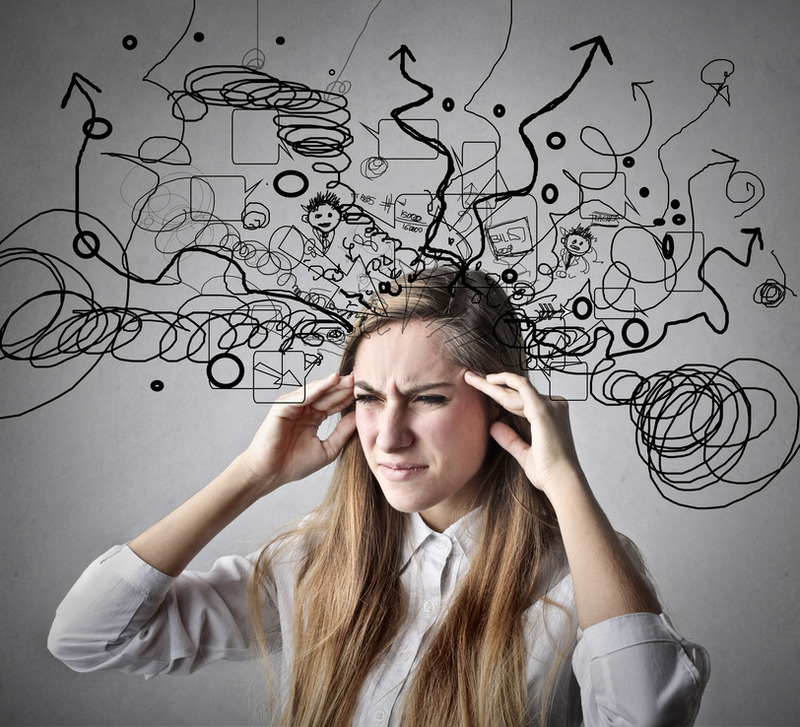 When you are faced with an uncomfortable or undesirable situation, the responses that you often have inside your own mind are frequently automatic. In other words, you really don’t control them – but you do control the reaction that you have. We are going to discuss some specific practices below. Here’s something to remember: you cannot get rid of negative thoughts by engaging in a mental battle with them. These thoughts are not true anyways, so what’s the use in fighting something that is imaginary? Here’s an analogy: consider a tabloid article about a celebrity engaging in their latest extramarital affair. Out of curiosity, you read the article’s outrageous claims and determine that there is no validity to it. The article is completely biased, its contents exaggerated and taken out of context. With no intent to buy, you put the tabloid and its useless drivel back on the shelf, shake your head, and just move on with your day. While inexplicably enticing, it provides nothing true, important or useful. Same thing applies to your negative thoughts. It’s tabloid material for your mind. When you do something productive and of value, you are significantly decreasing the possibility of negative thoughts arising. After all, you are doing something enjoyable while realizing the inner fruits of your labor. Have you ever heard the phrase “The idle mind is the Devil’s workshop?” You don’t need to be of any religious orientation or belief system to understand that remaining idle makes you vulnerable to negative thoughts and feelings. After all, you have a lot of time to think…too much time in many cases. Read a book, write, listen to music, or check off something on your to-do list. Whatever you do, try to keep your mind engaged in something of value to you. 4. Be aware of the company you keep. Outside of yourself, the presence of others is the most powerful influence on your thoughts. Therefore, stay away from people who are consistently negative and downtrodden. These types of people will drain your energy, lower your guard, and make you susceptible to negative thoughts and feelings. In some cases, you may need to work with people like this. If so, limit your interaction to strictly business and nothing else. If these individuals insist on interacting with you, politely state that you have something to do – even if it’s checking the email on your phone). If necessary, verbalize your concerns and tell them (politely, but with firmness) that you are trying to keep a positive mindset and that their presence makes it difficult. While certainly not the easiest thing to do, being straightforward and honest will get negative people thinking about their behavior, while potentially resulting in them making some positive changes. If nothing else, they will limit their interactions with you. Being human, many of us have the tendency to put things off until absolutely necessary. 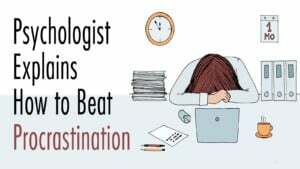 While this tendency is certainly unproductive, procrastination also allows negative thoughts to creep in. These negative thoughts are often a by-product of guilt – you know what you need to do, you have the time to do it, yet you choose not to in favor of engaging in something more interesting. To stop procrastinating requires both self-discipline and self-awareness. You must learn to control your impulses and redirect your energy towards the task at hand. Further, you must be aware of the fact that immediate gratification is really not gratifying at all. Instead, it produces weakness of character while managing to stunt your ambitions. If you have read the article to this point, you obviously have the mindset of a proactive individual and desire to rid yourself of negative thoughts. Good for you! While getting rid of all negative thoughts may indeed be impossible, you can take some of the action steps mentioned in this article to drastically reduce their presence. Remember, you are not your negative thoughts. If nothing else, absorb this fact, commit it to memory, and repeat it every time you find a negative thought arising within your mind. Never, ever let negative thoughts derail you from living the fruitful, happy life that you so deserve. We hope that you all stay productive, healthy, and encouraged as you continue on in your life’s journey – each and every day.